You stay classy, Ken and Jerry! I also like how the Postal Service felt it necessary to include a warning about the insufficient postage--but still delivered the card. I guess I'll just owe them the sixteen cents? 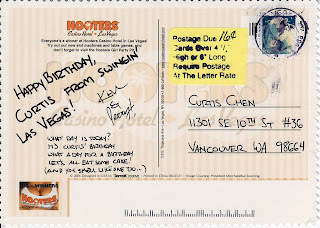 I feel a little cheated because I have it on the authority of the gift shoppe Hooters Girl that 28 cents would send it. 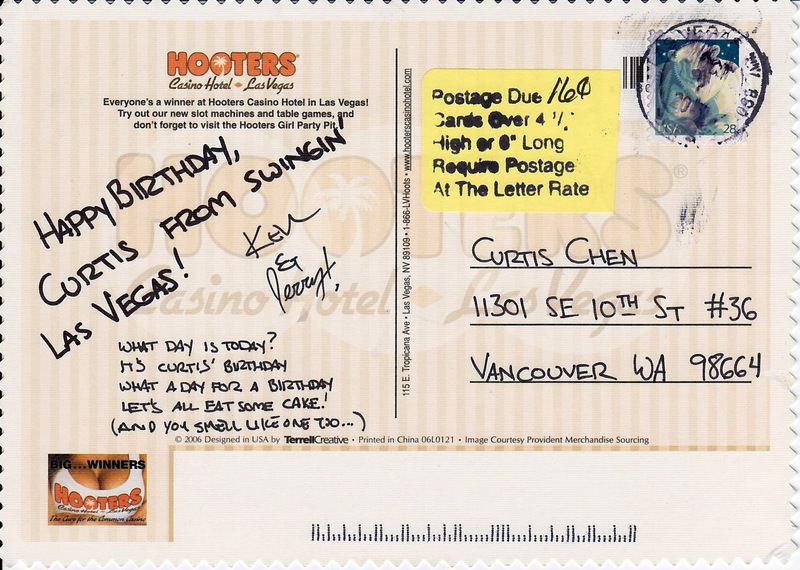 When I lived in Seattle, they would deliver postcards, but include a bill in my mailbox for the missing postage on oversized cards. jem: Sad face. Clearly, her expertise lay in other... areas. Jan: Good to know. Was there a minimum amount for which they'd bill you?